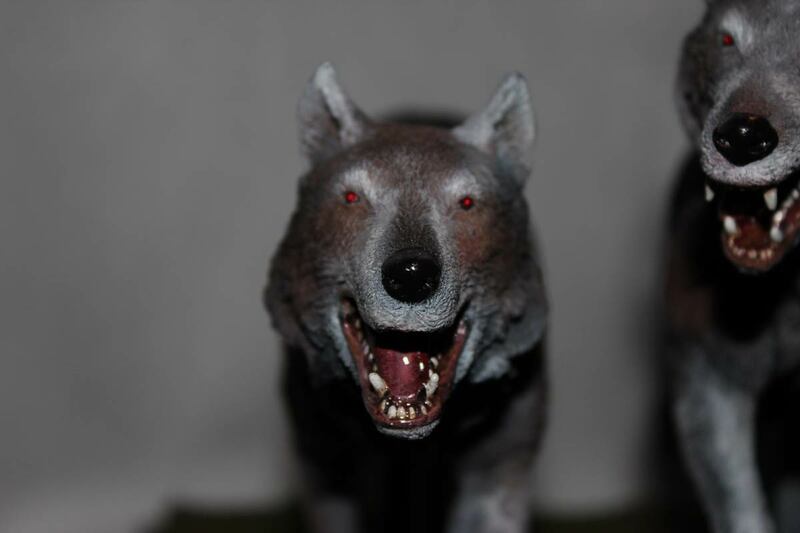 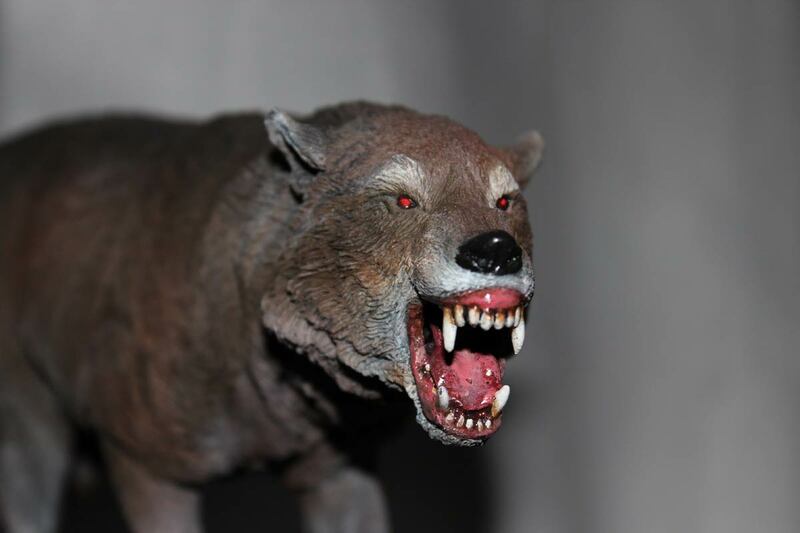 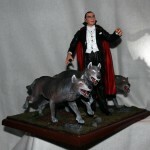 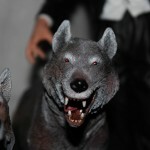 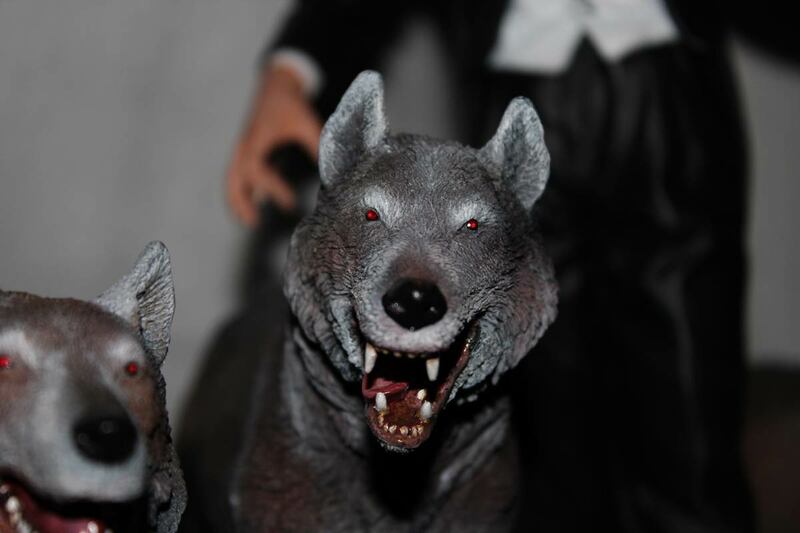 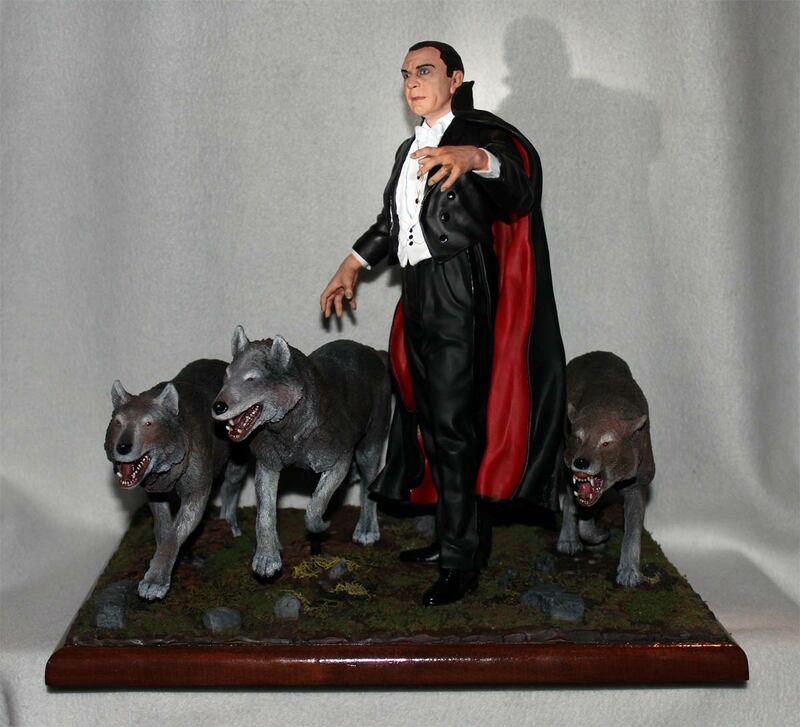 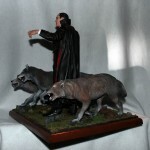 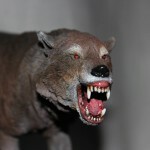 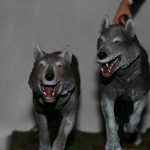 This diorama is a blending of the Billiken Dracula and a set of wolves onto a scratch built base. 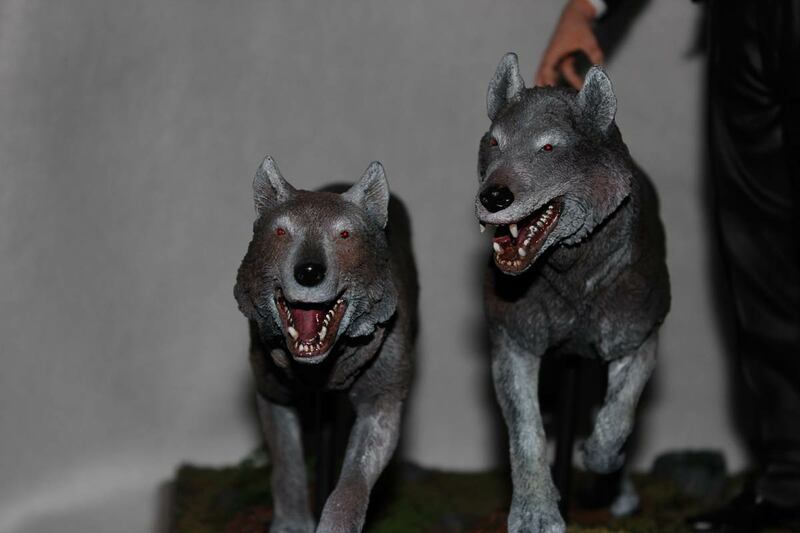 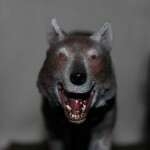 Each wolf was done separately and mounted to the base. 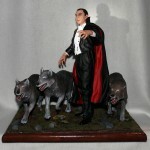 After their position was established Dracula was then added. 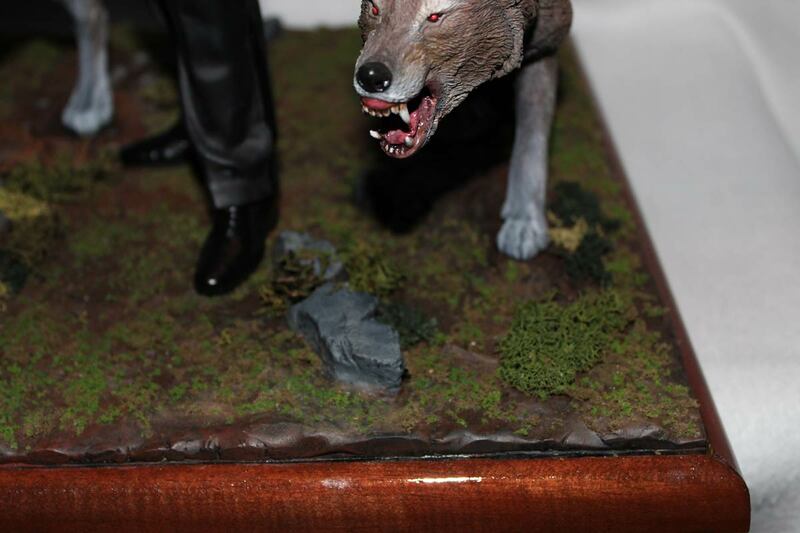 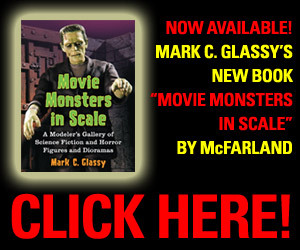 The base is a combination of super sculpy, aves apoxie, and resin. 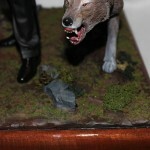 The ground cover was obtained from the model railroad industry.